This is a crucial point, which you ought to use to your full advantage, inasmuch as the problem of your sign is to reach the middle ground between family and career. Try to reach security, which will give you emotional stability. 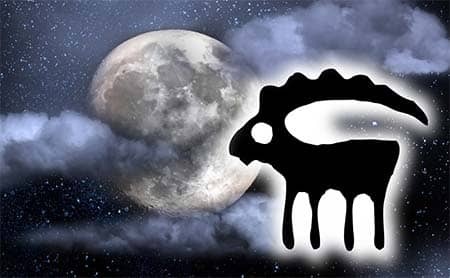 Discretion and conservative behavior step into the routine of Capricorn-born, when the Moon is visiting this sign. These folks will gain great self-control through outstanding focusing on the things they desire. This is a perfect time to complete all the things that have been initiated by you. With precise and intelligent management, you will successfully accomplish the long-termed projects. Don't be hasty and think each step thoroughly through. This will bring you positive outcomes. Capricorn-identities will receive great patience and will act utterly responsibly. Liabilities will fuel their ambitious behavior. There is great possibility of confrontation with authorities. It is also recommended not to borrow money. It is better to wait just a bit. This is not the right period for starting the novel job. It is advised to give more heed to the power of concentration and organizing the working process in the best way. Mind that this is a conducive period for different erecting works. Try your luck in trading and selling spheres that have concerns with the real estate. This a very favorable time to strengthen the connections with other generations, especially with the older ones. There may appear sudden and strong fondness within family circle. Get rid of isolated way of life and become more open the dearest people in your life. Don't be harsh and pay additional attention to your closest friends. There is great predisposition for different sort of skin ailments. Your knees may become weaker while these days. Avoid any operations on your knees, joints and bones. These identities are unique in their own way. They hold on firmly and cool. They have a tremendous control upon their emotions.